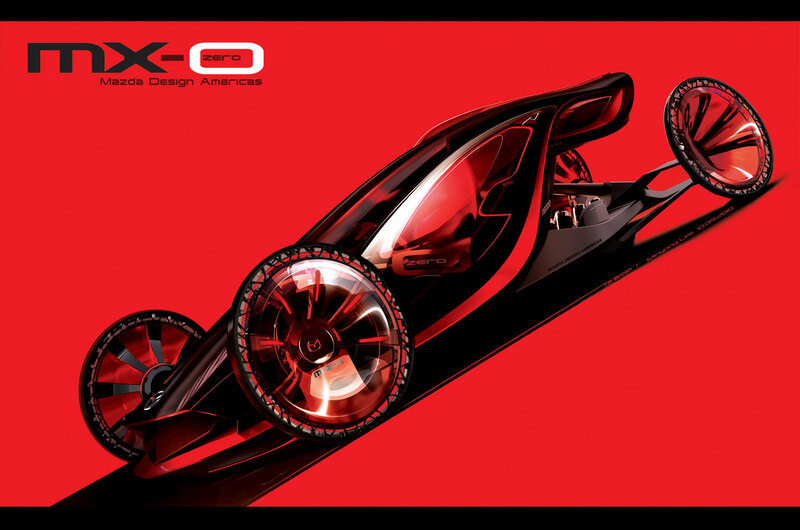 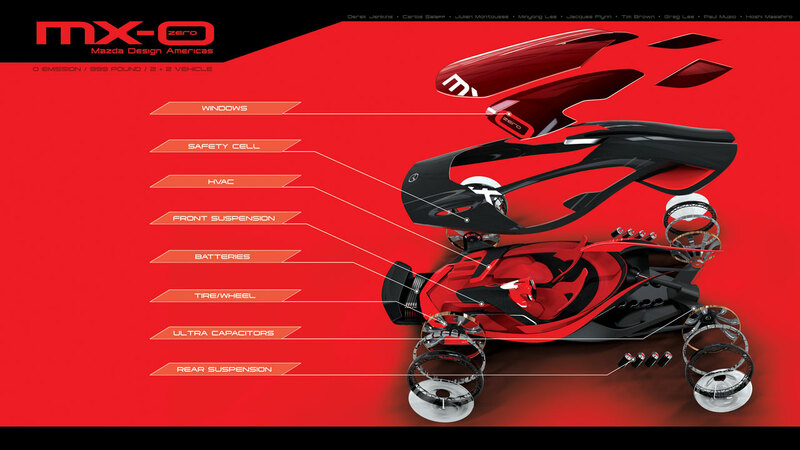 The design brief for the 7th annual Los Angeles Auto Show Design Challenge was to come up with a car that could safely carry passengers in style, yet was environmentally aware and weighed less than 1000lbs (454kg). 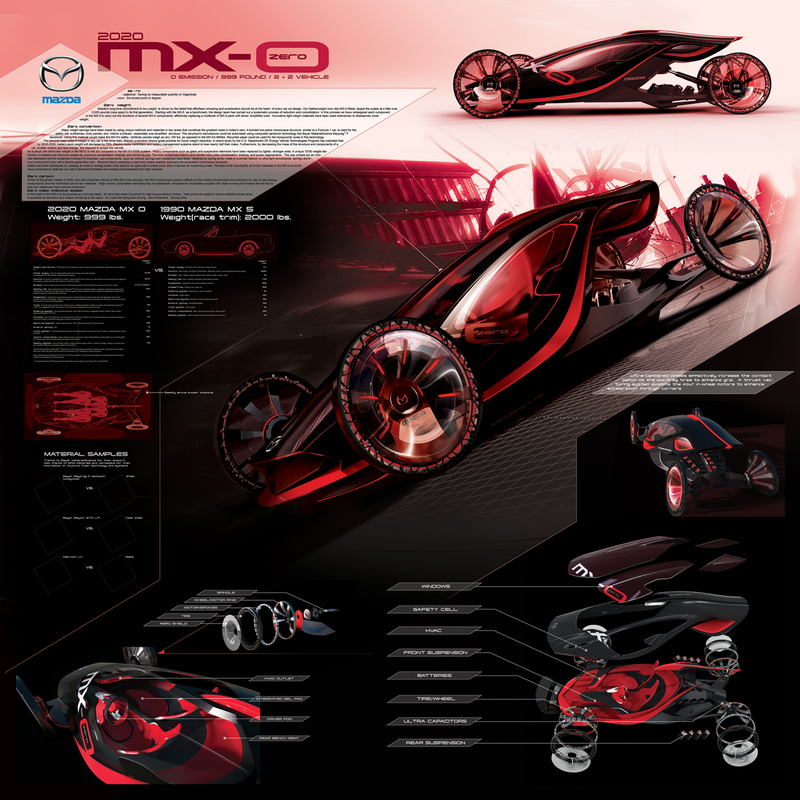 Mazda know a thing or two about reducing weight, and their entry for this challenge took gram strategy to the extreme, it was appropriately known as the MX-0. Designed by the same team that envisioned the Kaan, the MX-0 can be thought of as a spiritual successor to the MX-5, taking the idea that less is more as far as it can go. 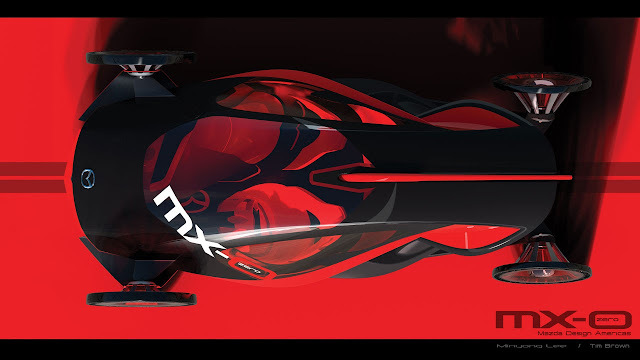 MX-0 is propelled by high-torque electric motors resulting in a power to weight ratio high enough to mean driving it would be a thrilling experience. 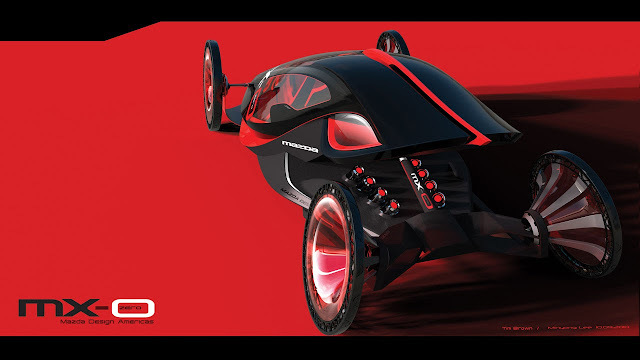 In the video below the designers explain some of the thinking that went into creating the concept.